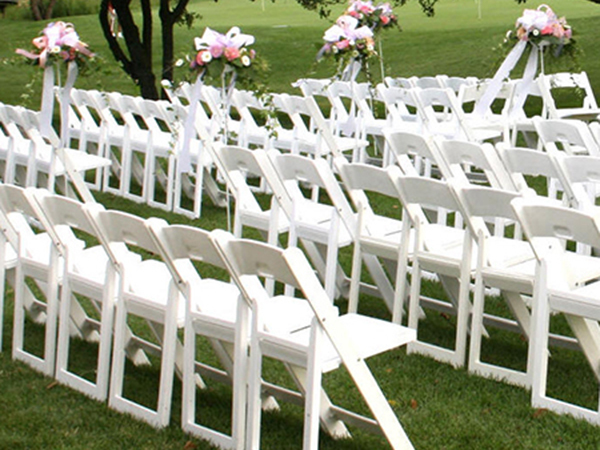 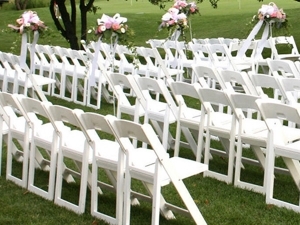 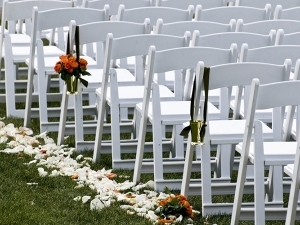 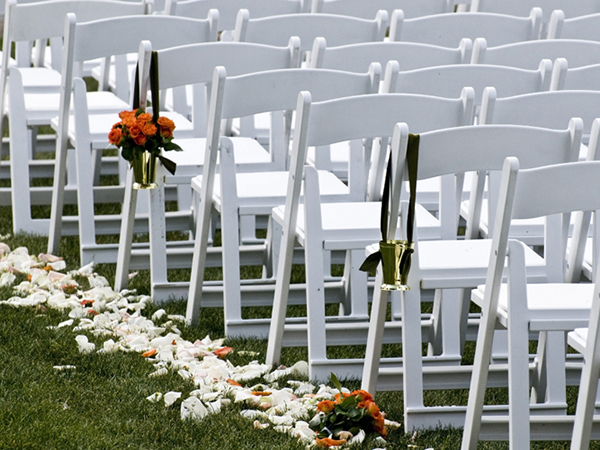 Resin folding chairs are beneficial tools for seating guests at weddings, graduations, and other upscale gatherings. 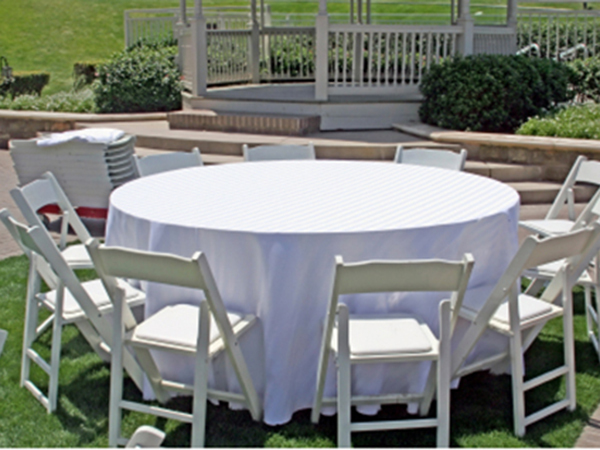 Resin material can withstand both inside and outside conditions without problems. 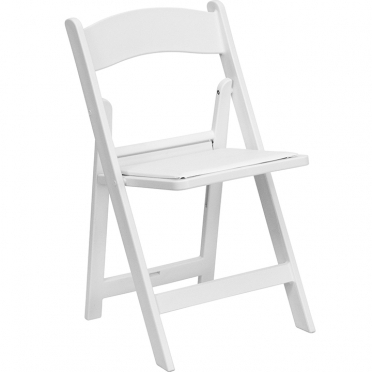 The elegant design fits all events and never needs extra decoration. 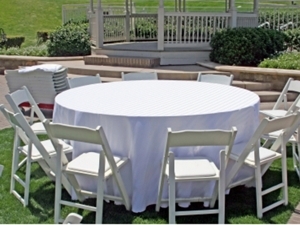 For extra comfort, the vinyl padded seats are welcome additions.